I was interviewed for an article in Austria Innovativ Spezial that appeared in March 2019. I gave the faculty talk entitled Nanoscale Sensors for Biomolecule Detection and DNA/RNA Sequencing: Theory and Applications at the VICEM Diploma Thesis Award Ceremony. Univ.-Prof. Mag. Dr. Susanne Weigelin-Schwierdrzik, Universität Wien. Danach Überreichung der Auszeichnung Wissenschaftsbuch des Jahres durch Dr. Reinhold Mitterlehner, Vizekanzler und Bundesminister für Wissenschaft, Forschung und Wirtschaft. TU Vienna celebrated its 200th anniversary on November 6, 2015. To mark the occasion, the exhibition Wunderkammer 2015 was open to the public in TU Vienna's main building in November 2015. Its topic was What's Next?, bringing together science, technology, and art and familiarizing the general public with new developments. About 100 submissions were received by the organizers of Wunderkammer 2015, and about 30 were selected by a jury of experts. My group presented an overview of our work. 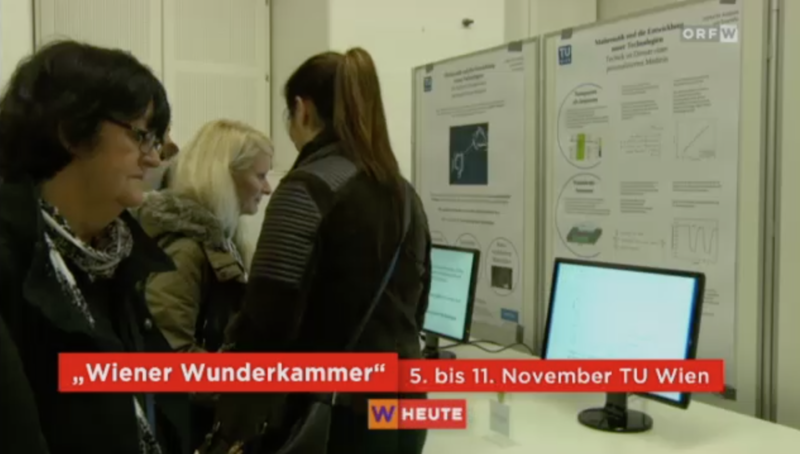 In addition to actual nanowire gas sensors and posters, we showed this presentation (in German). Special thanks to Benjamin Stadlbauer for preparing the presentation with nice animations and many explanations. The presentation can be viewed here as a movie file. You can view it full-screen by clicking on the “enlarge” button; the movie file is 1920×1080. This article, Neue Wunderwelten, reports from the exhibition and mentions us. Further articles are here and here. ORF, Austria's largest TV station, reported about the opening of the exhibition. Visitors in front of our booth are shown here. My comment (Gastkommentar) on the law amendment changing the organization of Austrian universities appeared in the Austrian newspaper Die Presse on October 7, 2015. 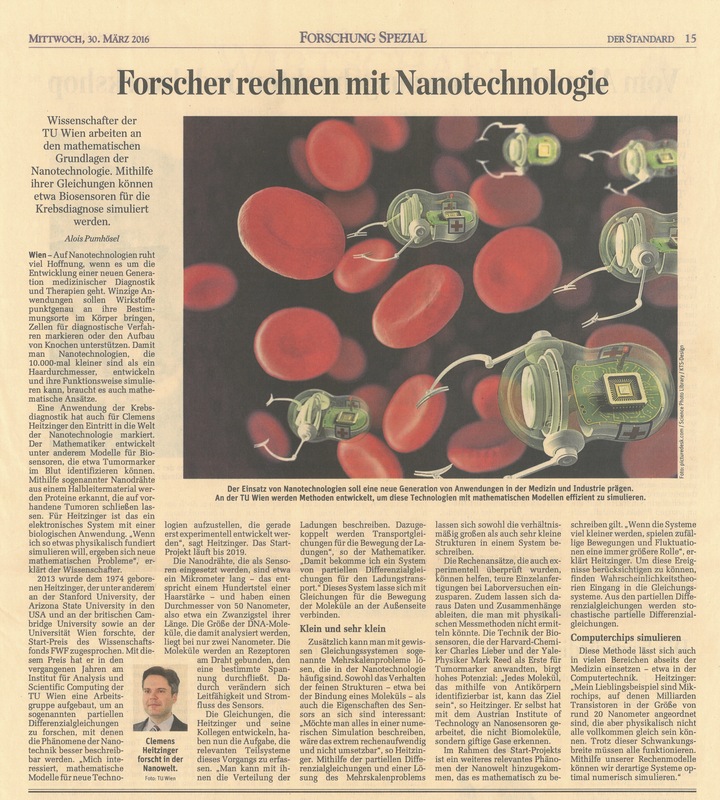 In May 2015, I was interviewed about my work at TU Vienna and the topic of the START Prize: Mathematik für die Nanotechnologie. In December 2013, I was interviewed about my work and the START Prize: Math researcher earns prestigious START Prize.